Spend an afternoon exploring the local area and you'll see that there are delights to discover around almost every corner. A wealth of interesting independent shops, cafes and artists' studios line the streets leading down to the town's ancient harbour, where you can still watch the local fishing boats unloading their catch at high tide. Take a boat trip out to Seal Island to watch the Atlantic Grey seals lounging on the rocks and enjoy fantastic views of the coast and Godrevy Lighthouse, or try your hand at fishing on a traditional Cornish lugger. And of course, there's the art. The Tate St Ives art gallery - the flagship of Cornish art - and the Barbara Hepworth Museum and Gardens, together with a plethora of small independent galleries, are all within easy walking distance of the hotel. 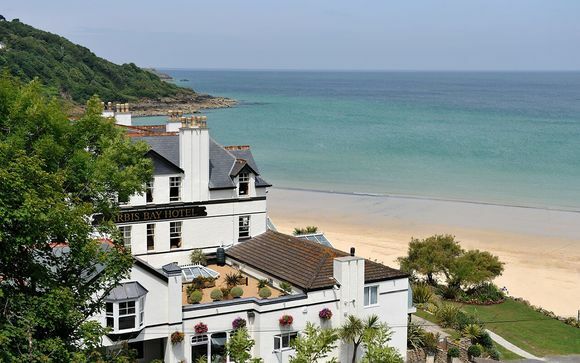 Carbis Bay Hotel & Estate offers a stunning coastal retreat with direct access to its privately owned 25 acreBlue Flag beach and breath-taking views of one of the world’s most beautiful bays. 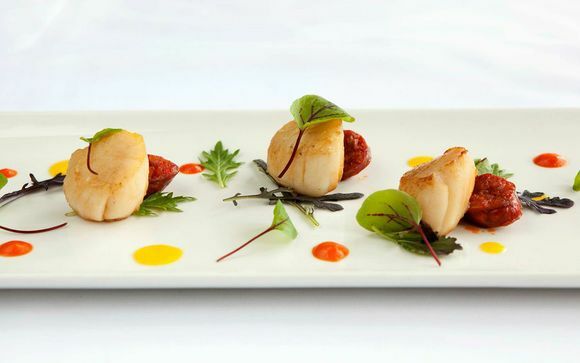 Whatever your mood, the Carbis Bay Hotel & Estate combines the perfect holiday ingredients. Enjoy the comfort of one of the forty-seven individually furnished rooms and the luxury of room service or relax in one of our spacious lounges. Set in 125 acres of beautiful coastline with its own Blue Flag beach, the Carbis Bay Hotel is the perfect setting for one of the best spa destinations in the world. Every aspect of the unique and tranquil space enhances relaxation and well being. The club, part of the larger Carbis Bay Hotel & Estate, offers unrivalled facilities including accredited water sports centre, state of the art spa, beachside treatment rooms and a restaurant and bar serving delicious food and trendy drinks open 7 days a week. This offer is based on a Superior Room with Garden View. Enjoy breathtaking scenery from your room at Carbis Bay Hotel & Estate. The superior rooms are designed for comfort and relaxation with stylish furnishing and finish. Each room is designed to complement its surroundings and views, reflected through colour schemes and decor. Make yourself at home during your stay, enjoy complementary cosy robes and slippers, and Aromatherapy Associates spa products in the luxurious bathrooms. Just for you: A 5-course set dinner with appetiser & coffee at Sands restaurant on the first night of your stay. A range of fantastic dining experiences are available at the Carbis Bay Hotel & Estate, so guests can experience a range of flavours and tastes without leaving the grounds of the estate. Whether you want intimate romantic dining or a large stylish celebration, the Hotel & Estate’s choice of restaurants can accommodate you, catering to your every need… so why not sip champagne or cocktails to the sound of the ocean? Reflecting a passion for local, seasonal food, menus are hand-crafted daily with 90% of produce sourced from the local area, offering guests the opportunity to immerse themselves in the taste of Cornwall and to try a range of local produce. 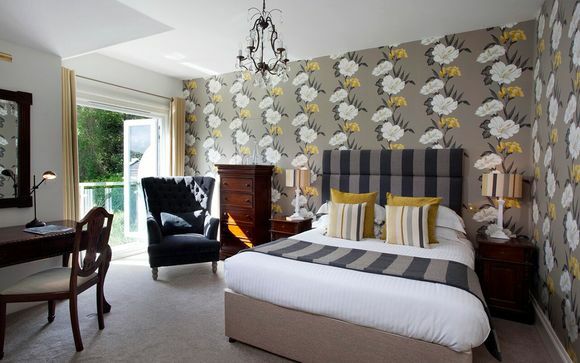 This also enables the hotel to work with local suppliers and engage with the “Keep it Cornish” campaign, which is one way that to support the local economy. 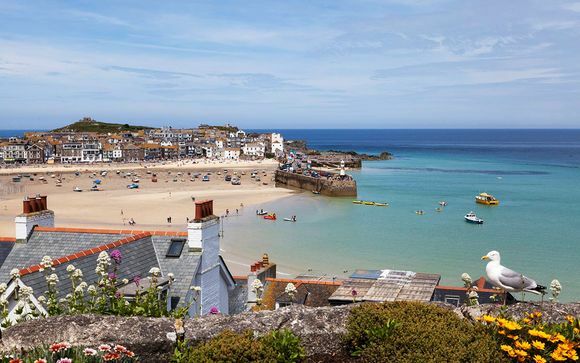 With fresh local fish and shell fishbought daily from St Ives day boats, chefs can guarantee fresh ingredients. Guests can unwind to the sound of the ocean whilst sampling the sun-soaked dishes that come complete with the most magical of backdrops and the option to enjoy a cocktail… or two. Starters consist of Wok Fried Prawns, Asian Beef, Squid and Halloumi while the mix of fresh fish, lobster and meat dishes for the main course will delight all tastes. Offering relaxation, wellness, elegance and sophistication for hotel guests or for locals who want a touch of that beach vibe, the decor inside instantly gives you that light and airy summer feeling. With both a Mediterranean dining area and a chill out zone with comfy sofas, this beach side restaurant has already been described as one of the coolest places to eat and drink. Lower Deck offers the best in alfresco dining right on the hotel's very own beach. Enjoy mouth-watering menu of tapas and sharing dishes, perfect for relaxing and getting together with friends. 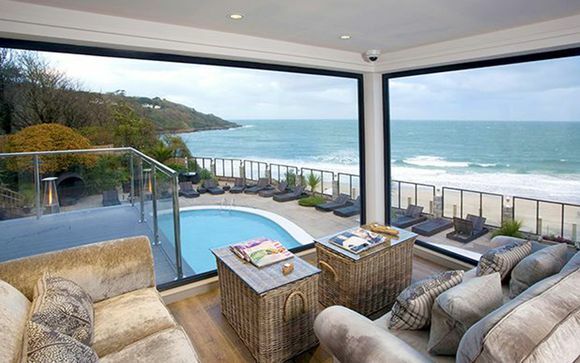 Just sit back and savour the perfect views across the turquoise waters of St Ives Bay. C-bay Spa is in theme with the amazing coastal setting, selecting products to embrace natural skincare. Make use of this award-winning Spa, with excellent space to relax with a treatment, or make use of the facilities and unwind in a supremely relaxing setting with ocean views.